Front row (left to right): 1. Steve ?, 2. Terry Kahn, 3. Harold Hanhy, 4. unidentified, 5. unidentified, 6. unidentified, 7. Bob Nelson, 8. Mike Ingles, 9. Chuck Varney. Second row: 1. unidentified, 2. unidentified, 3. unidentified, 4. Cathy Witbeck, 5. unidentified, 6. unidentified, 7. unidentified, 8. Priscilla Martinez, 9. Ilene Rehder. Third row: 1. George Ising, 2. Chuck McCoy, 3. unidentified, 4. unidentified, 5. unidentified, 6. Gail Emirick, 7. unidentified, 8. Merle (Buddy) Housh or House, 9. unidentified. Fourth row: 1. unidentified, 2. unidentified, 3. Kenneth Rettig, 4. Miss Havens, 5. Laverne Caldeira, 6. unidentified, 7. Peter Szekely, 8. unidentified. Credits: From the collection of Peter Szekely. 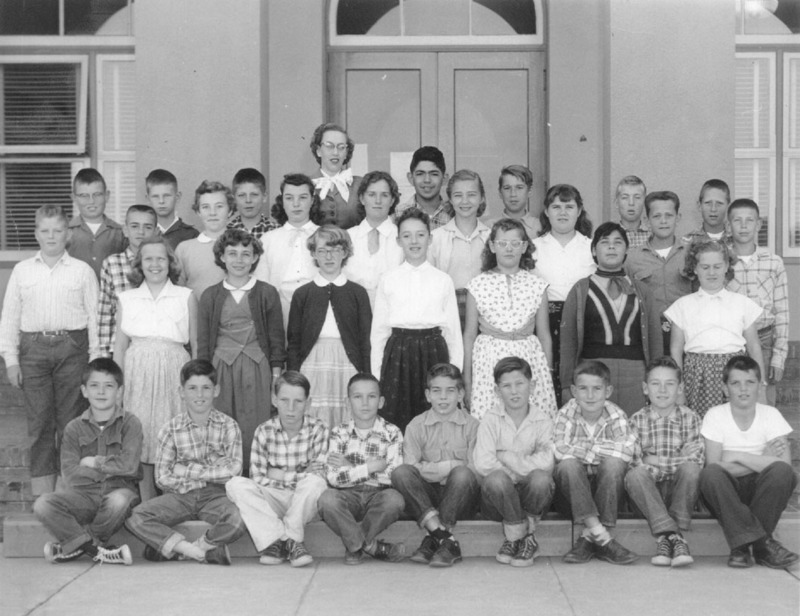 Thanks to Pete Szekely and John deTreville for identifying the kids in the picture.